Can anyone name the shops that were just along from the stream that runs under the road by the pumping station going up the slope and on the right hand side? The first one I recall was right on the edge of the wall of the stream and had a rather deep, recessed doorway. One more shop I think and then a greengrocers. The son’s name was Leslie and he lived with his family down Rushbottom Lane in Tarpots, the first turning to the left going down the road and over a concrete slab which acted as a bridge. The last shop as I recall was a bike shop Croissetes? I bought a small motor from there called a Powerpac. Then a road and on the opposite side was an optician’s, after that I don’t remember any more until the Co-op. Lived in Kents Hill Road from 1967 – 1997, but still in Benfleet now. Seem to recall a hairdressers next to Music and Toys, called Hairama. There was also a Joke shop in the little parade near Searsons. Further back I recall a cafe where you could have roast dinner, seated upstairs, with waitress service – black and white waitress uniforms. Possibly near where Nash printers used to be. Super! Thanks again. Do you know when Croisettes record shop in Hadleigh was sold and what it then became? Editor: Sorry, cannot help with this question but perhaps one or our readers may know! Thanks, but wasn’t Croisettes in High Rd Benfleet? I am looking for the 1968 record shop in Hadleigh High Street. Is that where Croisettes was? Many thanks again. Editor: Croisettes had several shops in Benfleet and one in Hadleigh, they were all called Croisettes but sold different merchandise. Their record shop in Hadleigh was in the Kingsway Parade. An older 1950s photo of this parade of shops can be seen on our sister site by viewing this link. The last photo on this page shows Kingsway Parade. Croisettes was the fourth shop in from the far end. Anyone remember the name of the record shop in Hadleigh High Street about 1968? It’s where l bought my first single for 6s 8d. Editor: The name of the record shop in Hadleigh was Croisettes, they sold records and also operated a television rental service. My parents rented their television from this shop in the mid 60s so my mum and I would have to visit once weekly to pay the rent. I bought my own first record there around 1967, happy days. 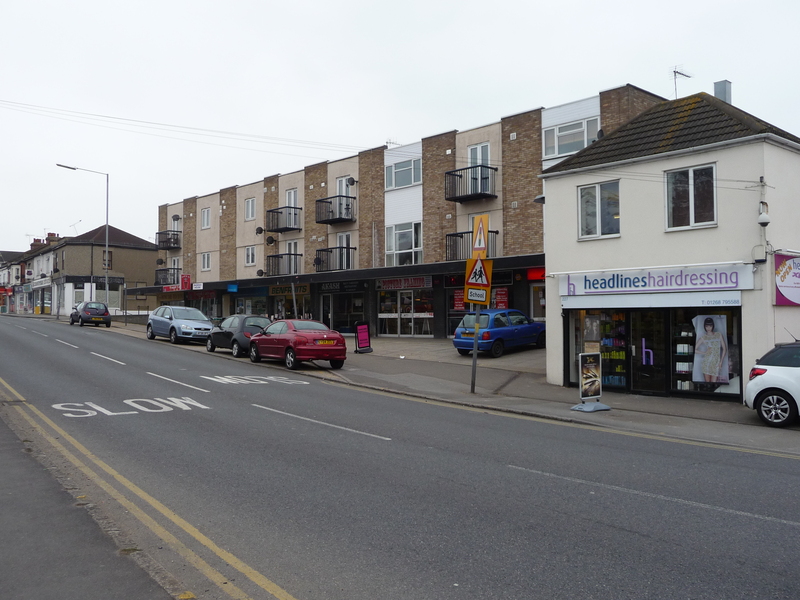 The Croisette family also had shops in Benfleet, this link will take you to the page on this site. I worked as a Saturday girl in Burnetts chemist about ‘63, the alley that ran up the side went to the park. Opposite was a greengrocer, my mum Vera worked there, would be late 50’s, they fought with tarantulas in banana boxes, cooked beetroot etc. My dad was big friends with Ted Rand who worked in Croisettes the TV shop and we could buy singles in there 6/9d I think. Mid 60’s worked for 2 yrs at the chemist till I worked in Bond St.
My Mum and Dad, Joan and Frederick Sands used to own the newsagents on the corner in the 1960’s, before that it was owned by someone called something like Freeths or Friths I think. I might still have some photos of the front of the shop in that time, I’ll see if I can find them. I used to work at Searsons, it was a wonderful job, lovely to read everyone’s comments. Who remembers old Ken that ran the library in South Benfleet opposite the school AO? Editor: Please click here to see a page on Ken Deacon. What a wonderful trip down memory lane reading all these comments. I grew up in Benfleet and I can recall all the shops mentioned. 50 years on I can still remember Folley’s the toy shop (I may have the spelling wrong) opposite the Police Station in the High Road) a few doors down was a Drapers Shop where my mum would buy her knitting wool. Happy days!! My Dad, R. J. C. Bird owned the Newsagent, Confectioners, Tobacconist shop at 123 High Road from 1963 to 1977. Many happy memories of those days. Is there anyone that has old photos of Mac’s cafe, near Tarpots corner, it was run by the King family, and was demolished in the late 60s. I used to work for Mr Eaton (Tom) greengrocers, they lived in Louisa Avenue a few doors away from me. I was only 14 and worked all day Saturday for 2 shillings. Happy days. Would of been 1965/6. I moved to Benfleet in 1977 and from the photo remember around that time Benfleet electronics was where the Hairdressing shop was in the photo. In the early 80’s at the far left of the Parade was a shop hiring out Video’s etc but that did not last long. I remember the green grocers there too. I believe the building was a clothing factory. My mother used to work there in the early/mid sixties I think. Can anyone tell me what used to be where Hopes Green Residential Home is now? Who could forget the aroma of freshly baked bread coming out of Smiths’ Bakers opposite the school almost on the corner of Thundersley Park Road. Does anyone recall Vincent Wilby (his wife was Joan and they lived on Benfleet Road)? He had a shop selling carpets, I believe; he died suddenly in January 1964. I am his niece. Tha clothing factory in Brook Road was called “The Ironguard” my mum Gladys Baptist was a machinist there. They made jeans etc., my first pair of sky blue polished cotton jeans came from there I thought they were so cool. But on reflection with winkle pickers I looked like a demented spider! We moved to Benfleet in 1966. I remember Wards hairdressers ( my mum took me there once!) also Knightleys newsagents. At the bottom of Thundersley Park Road was a bakers whites I think? They made bread and delivered it by van twice a week. I can still remember the smell of fresh bread and cakes when the van pulled up outside our house and the doors opened! I can remember the Tobacconist shop just past the Co-op, I used to go there to buy cigarettes as a lad of 15! He used to sell all the odd cigarettes, LuckyStrike, Camel, Sobranie, Black Russian and the like. Very exotic. Nice’s @ 180 and Moysies(?) bike shop at 178. The bike shop became Hurren’s central heating. I was at Benfleet Primary school with Sara Hurren. Teenette’s (owned by Mrs Harrison) was the haberdashery @ 190 which was the other half of what was a semi with Ron Surplus at 188. When the semi was sold on it became Dowlings Insurance and a barbers. This again was sold on and knocked into one for Belgravia florist. Elaines hairdressers was a new build! and was where the dentist is now. Can anyone remember Garons bakery ? I lived in Benfleet most of my early life, by Benfleet station on a houseboat, on Benfleet Creek in the mid 50s. I was born in 1954, it brings some very varied memories, I now live in North Wales. I do indeed remember Garons tearooms on the corner of Southchurch road and the corner of Victoria Circus with many an afternoon tea been consumed there by my Mother and myself, along with our next door neighbours the Bray family after we had walked from Mimi Greens school of Dancing to the cinema, where we paid sixpence to sit up in “The Gods” on uncushioned wooden benches and after the show retire to Percy Garons for tea before catching the bus back to Tarpots corner. Percy had a Butchers shop just under the railway bridge at the station and across the road was Rossi’s ice cream shop which to my mind served the finest ice cream ever. I moved to Benfleet in 1971 when I got married and lived on the Bird Estate. I remember there were three main food shops on the High Road. The Co-op where the flooring shop is now, International Stores where the big co-op is, and Wallis, then Gateway, then Somerfield where the smaller co-op is now. I worked in London and used to trek across Richmond Park and along Fleet Road to the station. On the way home I would pop into the corner shop on the Bird Estate on Woodham Park Drive. My hubby and I lived opposite the shop. I think the chap who ran it was Mr Hedges. My favourite shop on the High Road was Richardsons. A lovely lady called Jenny worked there. Sometimes skived off work, go to Richardsons, spend ages looking at patterns and material in that shop. Heaven. Another shop opposite the present big co-op was a shop selling wool, tights, clothing, schoolwear. There was a real fire in there. No elf and safety then. There have been quite a few answers to this question thank you but most seem to be around the 60’s and my recollections seem to be in the 45’s onward. Going to the Co-op with my Mother sticks in my mind and I’m sure that was further on the way into Benfleet and on the right hand side or have I got that wrong? Can anyone remember the Albany where nan worked in Benfleet High Road and my mum worked in the launderette all in the 60s. Win Ahrens was my nan and Joan Ahrens my mum. That was Albany dry cleaners over the road from Clarks shoe shop in the 60s. I used to live in the sweetshop next to the brook which was owned by my mum it was called the Candy store. Mrs Mockeridge was my nan who unfortunately is no longer here, and she owned a sweetshop with the same name further up Benfleet High Road, just before Southview Road, there was a parade of shops on the right my nan’s shop was there. Does anyone know of any photos of either of these shops. I would appreciate if anyone has any. I used to go to school at South Benfleet and I had a boxer dog who used to follow me to school and he used to run around in the playground. I remember the Wimpey and would often go in there. There used to be a factory down Brook Road and my best mates mum used to work in there as a seamstress. Opposite my mum’s sweetshop there used to be a wood yard not sure if it is still there. I remember the Candy Store by the brook, also a greengrocers, a sports shop, the Wimpy and Music And Toys. Can’t recall what was there before the building though. Along the same side as Knotts, I remember my mum taking me past a very odd looking hairdressers, very dark and very black shop front windows, on the way to Knightleys. I cannot remember the name of it. I also recall a hardware store called Greens, I think, along there where my dad used to get the paraffin and wicks for the old Aladdin heaters. I remember the parade being built and there was if I’m correct Moores the shoe shop and a Wimpy Bar in the new build? Just down Brook Road there was a couple of yards on the left with a Plant hire company and Wilson the builder or were they the same? On the right of Brook Road there stood a big factory I can’t recall the name. That was called Knotts most people thought they were married. Could that have been Knotts? What was the name of the store opp Knightleys run by, I think. a brother and sister? Food store that used to have ham on the bone, broken biscuits. I was only young so in the 60’s. Next to the Stream (or Benfleet Brook) opposite Smiths wood yard was a sweet shop where I used to buy 8 Black Jacks or Fruit Salads for 1 old penny (or indeed 4 for a halfpenny or 2 for a farthing) around 1952/3. I used to spend my bus money here every Friday, then walk to my Uncle John and Auntie Maureen Stockwell’s Houseboat next to the Bus stop and café on the creek. On the corner or near the corner of Brook Road a few years later, I guess about 1960 , was a Flower Shop where my Mother Eileen Reed, worked as a florist. The other side of the Brook was Benfleet School. I remember the post office being next to the Hoy and Helmet it moved in the 60s near St Mary’s Drive. I also remember my dad working for Len the grocer on the corner of the High Street and St Mary’s Drive. I well remember Barnes’s shop! It was an Aladdin’s cave for kids and I used to buy all my fishing tackle there. I’m sure Nices was up towards Knightleys newsagents but across the road on the other side of Kents Hill. It had the strange manequins in the window – or is this something else that I remember. Next to Pollards? There was a shoe shop called Seasons. My mother and her two brothers were born there, they then moved to a house in the High Road. Don, we have a page on this site about Vic Barnes. He was a very well known local character remembered by many. View the page here. Does anyone remember Vic and Yvonne Barnes? They had Liberty Market, a shop selling all sorts, fishing gear, guns, books, secondhand stuff. They had a houseboat in the creek too, daughter’s Jackie and Roberta (Bobbie). My brothers in the early 80’s owned W H Smith butchers – now a cafe and my twin brother ran Peachey’s greengrocers next door, both opposite Kents Hill corner. Green grocers? Tom Eaton, Louisa Avenue. Reference paragraph 2 of article. To the east of Sharmans was an alley or lane, and then to the east (or left) of that was a butcher’s shop, owned I think by the father or grandfather of one of the Barclay boys (big lads with ginger hair). It was quite a large premises compared with those around it and I would think it was Edwardian since it was at least early C20th. The Barclays or one of the boys known as ‘Ben’ went up to the King John School around 1958-9. It certainly was a sweetshop. In the 60s it was called “Dolbey’s”, I didn’t use it that often as Mr and Mrs Dolbey seemed to share one characteristic that mitigated against sweet shop ownership; they hated kids. We all went to the sweets counter in H W Smith the baker’s on the corner of Thundersley Park Road. Nice’s was on the other side further towards the church, a few doors away from Searson’s where we all got our shoes. I do believe that Headlines also used to be a sweet shop in the seventies run by a lady called Mrs Mockeridge and her family (I think). On Sundays I used to take my empty R. Whites lemonade bottles back there to claim the refund. What about Nice’s where you got your school uniform from? When I first came to Benfleet there was an antique shop where Headlines Hairdressing is now. Clarkes shoe shop was the other side of Brook Road there was a launderette, newsagents and I think it was Richardsons fabric shop there too. Does anyone remember Suggs opposite St Marys Church and also Mrs Batero??? in the chemist along by the church, which is now just a bit of garden?? Also here were Eaton’s the greengrocers and Nunn’s the butchers. Definitely remember Sharmans. My aunt, Dolly Dyer, worked there for a time before moving on to the Post Office at Hopes Green. Don’t forget Sharman’s the hardware shop. You could get anything in there and it smelled of soap, paraffin and the wooden floors. And the Labour Club was on the corner. Music and Toy was on the corner of Brook Road and I brought my first record in there in about 1975. Commander L. H. Wightman. R.N.V.R.